I'm blogging over at Flock Together today, styling up Katie's beautiful vintage top. Who says black and brown can't get along? Definitely not me. 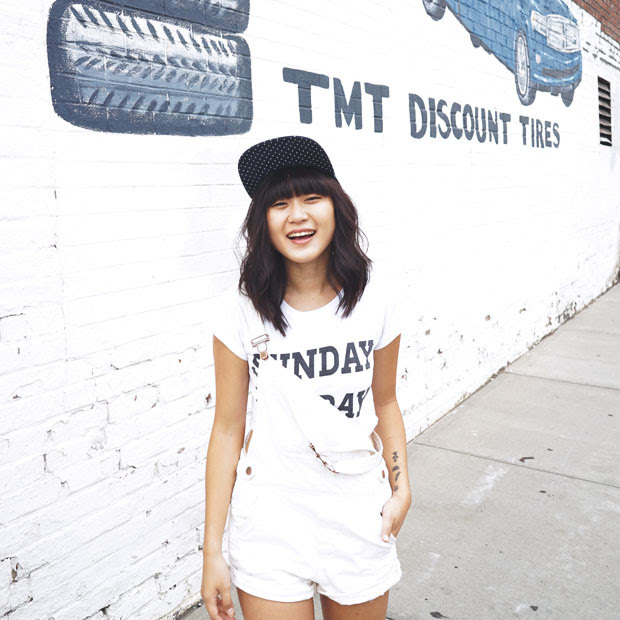 Go check out how the other girls styled up this top as well! you rocked black and brown! !i never believe these 2 colors can be friends..but you proved they can.cool outfits! The patterns mixed at so great! I love the other looks styled too. Just the perfect colors of fall when you're feeling warm! 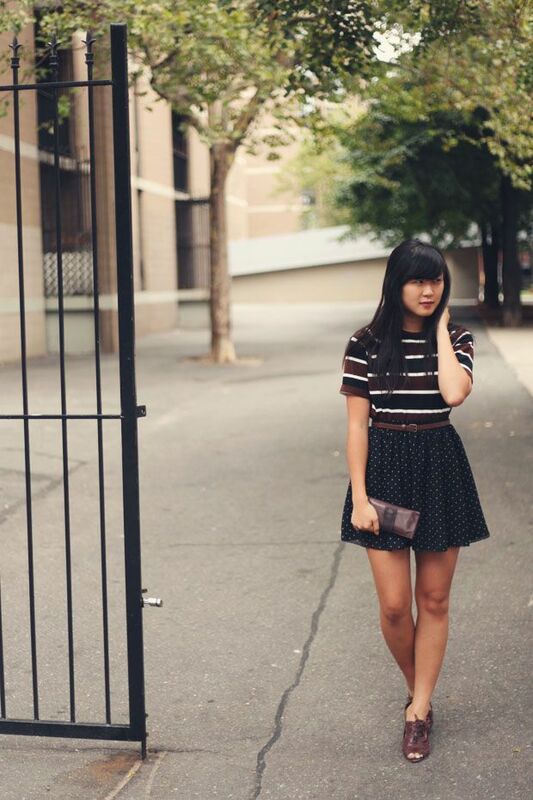 loving the stripes and polka dots, so fun!! I loved this outfit - I just saw it on Flock together yesterday. Black and brown is particularly amazing on you. I've always loved it as a color combo myself. 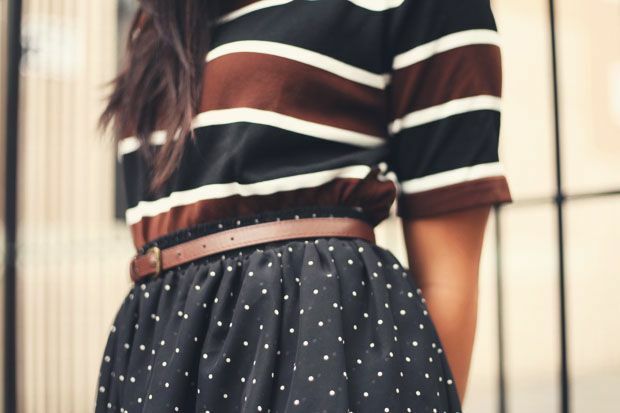 black/brown and stripes/dots...so daring! looks amazing though!